The Explorer bike trailer for the outdoor enthusiast. With the Explorer trailer you can walk, jog, ski, go off the beaten trail, cycle, transport your cargo, your dog – and truly go Exploring! 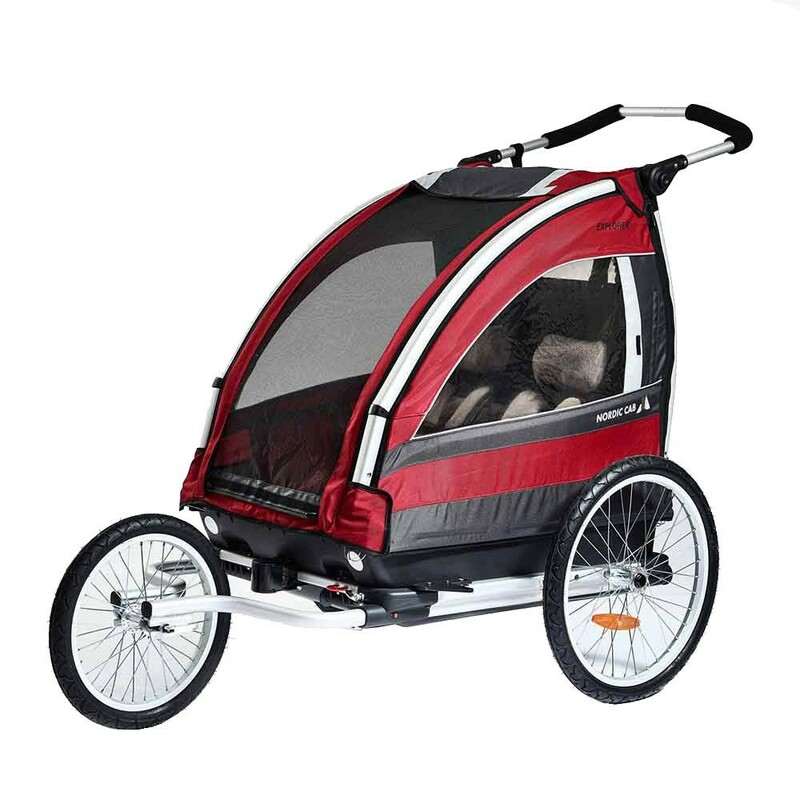 The Explorer comes with the stroller and bike attachment as standard, and it is also possible to convert it to a cargo trailer for the bike. Being the first model launched by Nordic Cab, the Explorer was designed with the aim to cover as many outdoor activities as possible, whilst keeping you and your children safe and comfortable. The Explorer features a robust plastic base, enabling the many alterations this product offers, in quick and easy steps. It also simplifies the assembly of the trailer and features drainage holes for water. The base also adds insulation on cold winter days. Explorer features a unique seat solution where the two seats can be adjusted to any position you want, and all the way down to create a vertical flat bed, for the optimal sleeping position – your kids can relax and you can venture even further. We have also added interior height to the Explorer, and the large viewing pane adds to the feeling of space. In addition, all Nordic Cab trailers feature a 5-points seat harness as standard. As the Explorer was designed to accommodate your every outdoor need, it features a large storage space inside the cabin for those vital necessities. Explorer can easily be converted into a robust cargo trailer to help you with those extra luggage trips to your cabin or at home for groceries or other transport needs. The standard Explorer model attaches to your bike, but it is also possible to buy a hiking-harness for yourself or your dog. Safety is always at the forefront of our minds, so included as standard are safety flag, LED light and reflective materials for excellent visibility. 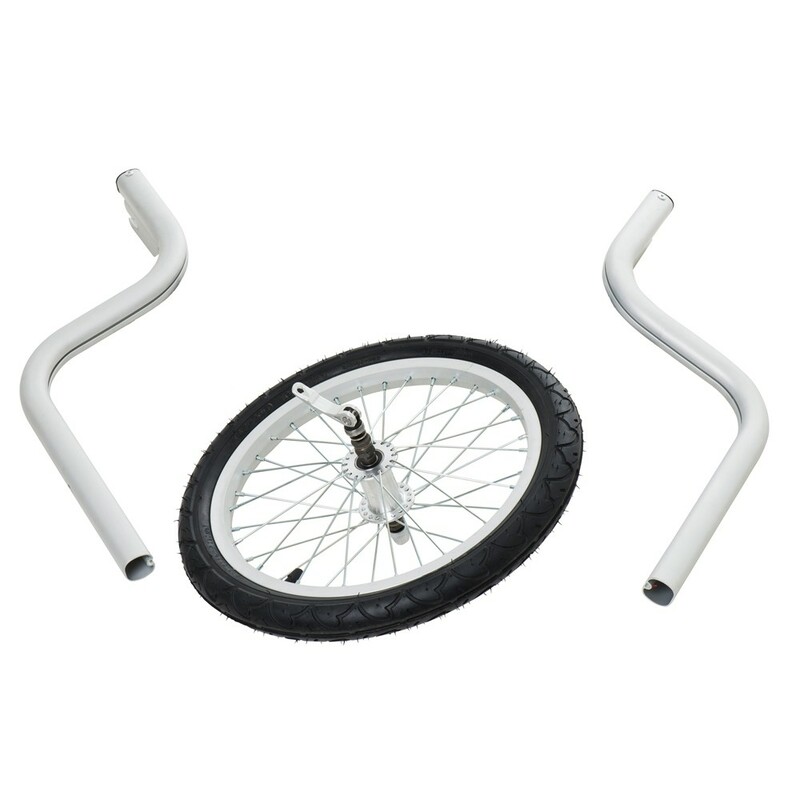 We are also proud to present our very own Nordic cab e-bike safe-pull system – which gives you that added security when pulling a trailer with your bike or e-bike. The Explorer trailer was designed with the aim to cover as many outdoor activities as possible, whilst keeping you and your children safe and comfortable. It also converts to a handy, hard-based cargo trailer.